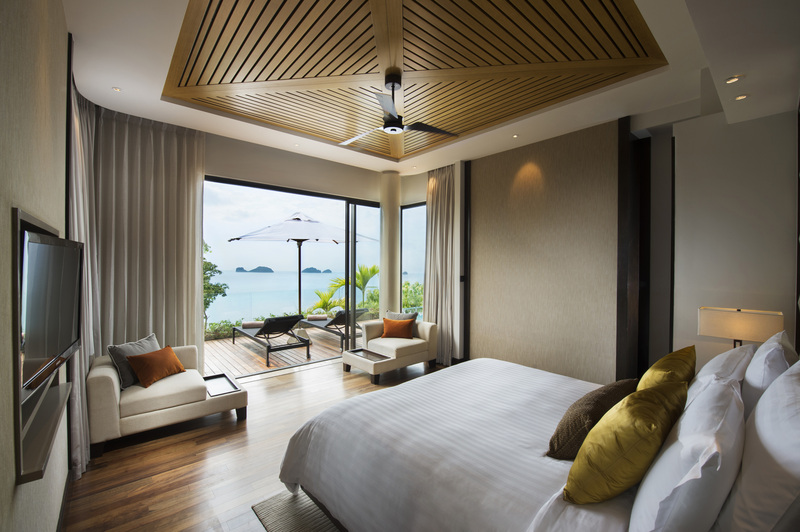 Discover a luxuriously stylish pool villa resort designed to make you feel like you belong. 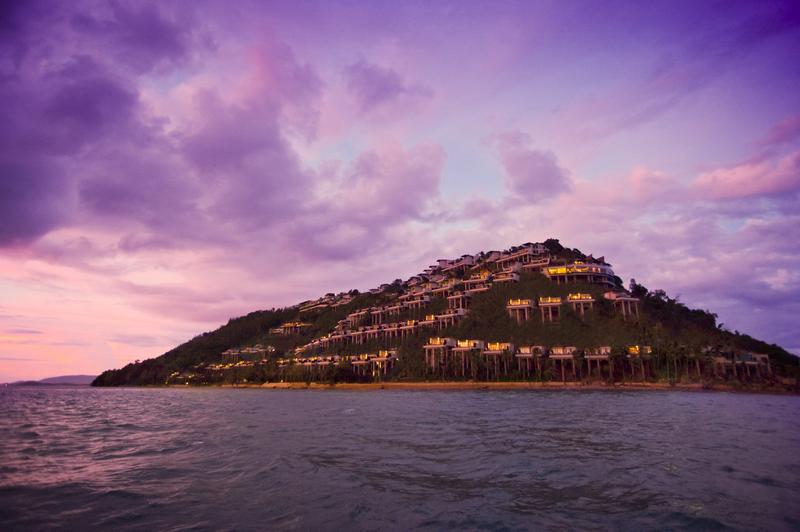 Conrad Koh Samui is set on a scenic hill with extraordinary views of the Gulf of Thailand and majestic sunset. 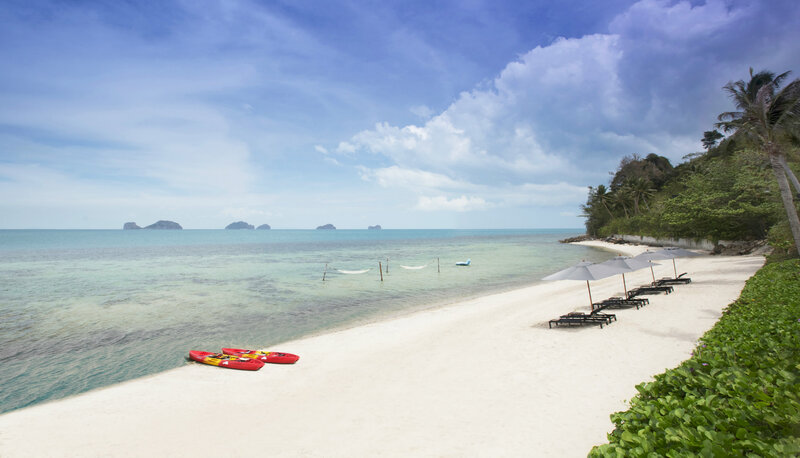 Expert chefs use a blend of traditional Thai cooking techniques and specially imported international ingredients to create memorable signature dishes. 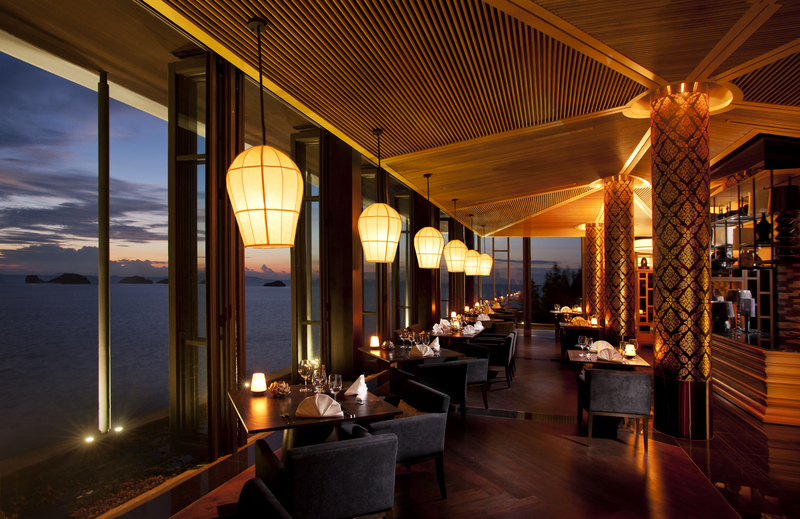 This exclusive candle-lit dining room for up to 28 guests provides a stunning view of the moonlit resort and overlooks the Gulf of Thailand. Executive Chef Amporn Choeng-Ngam, known as Chef Berm, brings an inspirational, innovative approach to fine dining at Conrad Koh Samui. Chef Berm and our resort's sommelier work together to create carefully selected menus that pair the finest vintages with excellent cuisine. 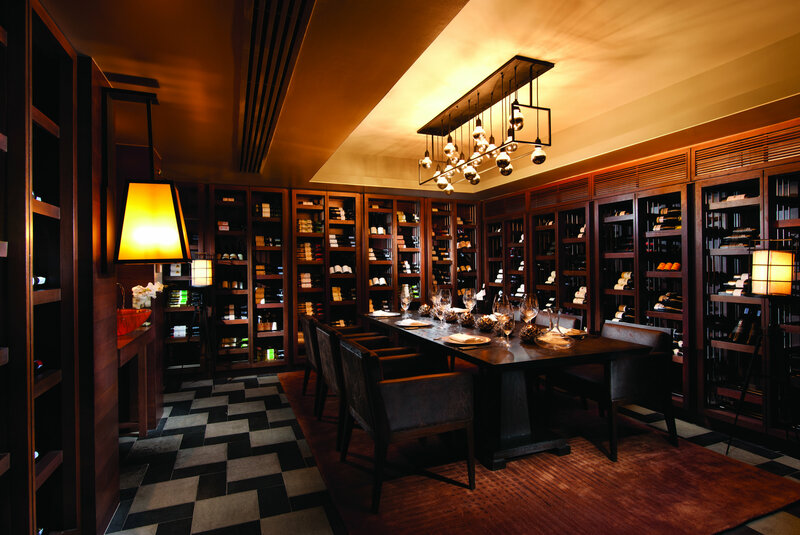 Featuring over 3,000 vintages, this venue is ideal for intimate gatherings, unique celebrations and interactive wine-tasting evenings. Located at the highest point in the resort, guests enter this atmospheric room through a large wooden door to be met with an imposing table lined with specialty bottles and a variety of original artwork. Our executive chef and sommelier have worked together to produce carefully selected, complementary menus, making The Cellar an exclusive destination for memorable culinary experiences and interactive wine sessions sure to please even the most passionate oenophile. 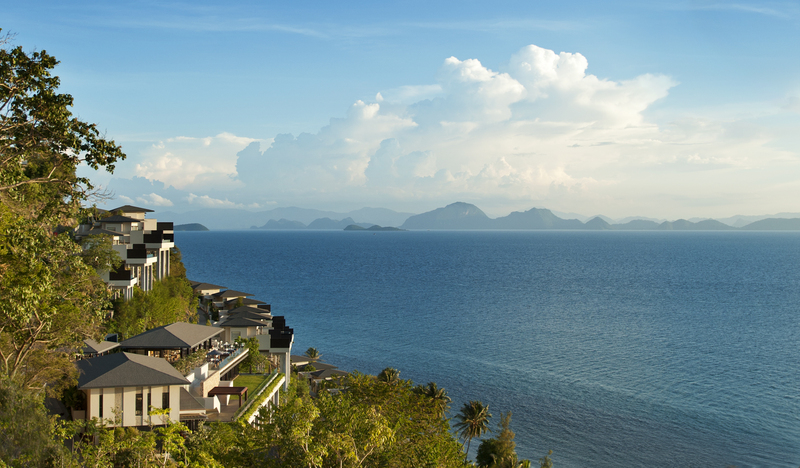 This exclusive setting, perched high above the resort against a large rock wall, serves premium spirits, delicious cocktails and superb vintages to enjoy spectacular sunset views over the golden waters of the Gulf of Thailand. Aura Lounge features dramatic open-flame pits and chic, oversized furniture, making it perfect for special occasions. All day dining venue, providing casual indoor and outdoor dining options. Zest offers a superbly executed and expansive international breakfast flowing into an exciting lunch selection with vibrant Pan-Mediterranean flavors married to fresh, local, and organic ingredients. 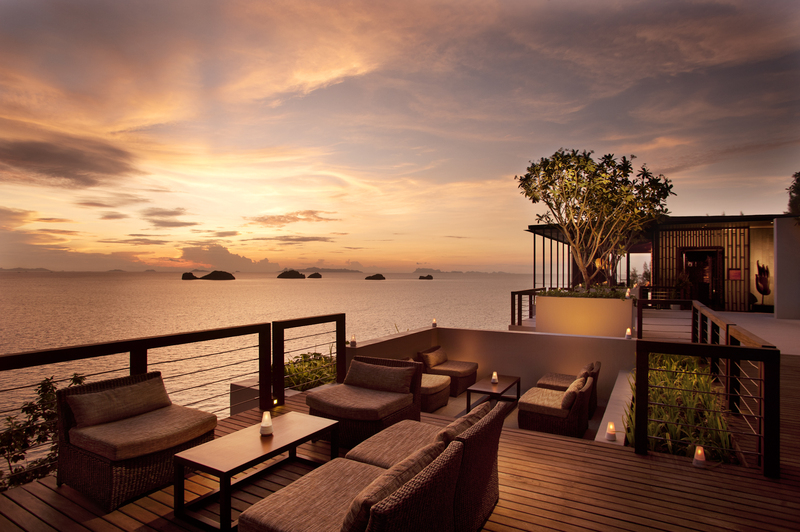 Dinner becomes an elevated affair with a change of ambiance to create a contemporary dinner environment. 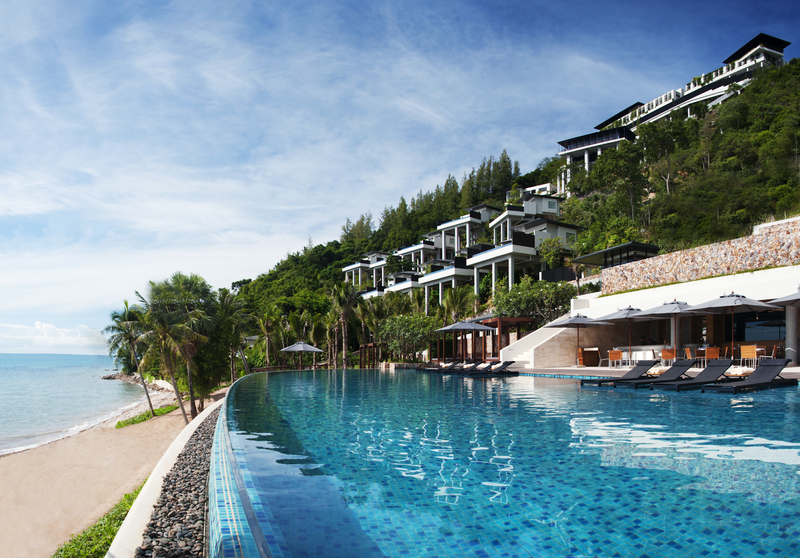 Set next to an infinity-edge pool and surrounded by beautifully landscaped gardens, the relaxed, open-air Azure Bar and Grill is perfect for guests that seek a more casual dining option on the resort. At twilight, a magical transformation occurs when the music and lighting changes to reflect the colorful evening skies, making for a sophisticated yet relaxing ambiance that seamlessly glides from happy hour to dinner. 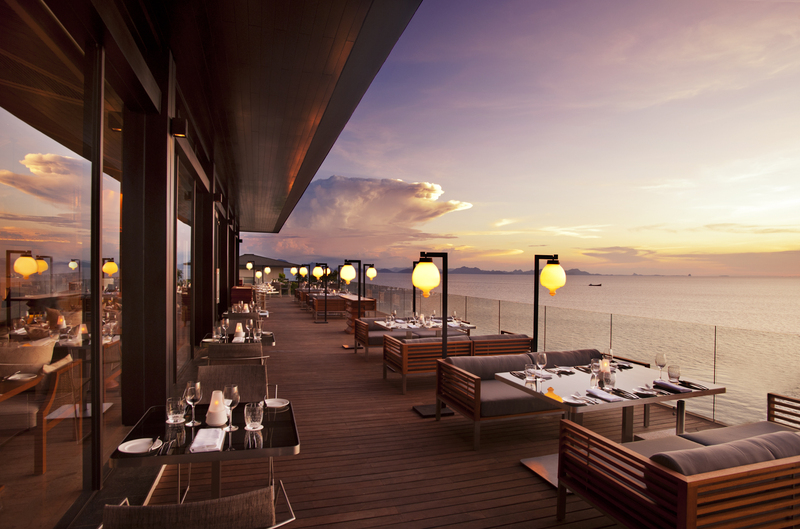 Anticipate a savory dish paired with excellent wines and all-night stargazing.